Learn more about one home educator’s FLVS Flex Elementary experience with her young student filmmakers and ambassadors dubbed “The Captains.” Whether your child has been enrolled for a few years or you’re new to FLVS, these tips can help your elementary student succeed! As a mother and grandmother, the responsibility of educating our 8-year-old son, Captain A, and 7-year-old grandson, Captain SySy, weighs heavy on my heart and mind as their home educator. The world is not always a perfect place and people can be unkind, so our family strives every day to help our Captains be the best human beings they can be! I am beyond grateful for our partnership with FLVS on our Captains’ education. The FLVS Flex Elementary team not only cares about making a difference and helping them to succeed in their educational lives, but also about their personal successes as future leaders. They have been a huge network of support in our Captains’ volunteering world. New Elementary Option Now Open! FLVS is excited to be introducing a new learning experience as part of FLVS Flex, allowing our youngest students to take online elementary courses anytime during the year. If you have a child in Kindergarten through 5th grade, sign him or her up today for one or more courses to start as early as August 2018. One might ask if hosting a virtual Career Day for online learners is even possible. On Wednesday, April 25, 2018, FLVS Flex Elementary learned that it is not only possible but also transcends the barriers that brick-and-mortar Career Days sometimes involve. Some of you may be new to FLVS and others have been with us through the summer, but we want to officially welcome everyone to the start of the 2017-18 school year! This year marks our 20th anniversary, and we could not be more excited. 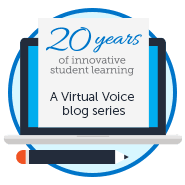 FLVS has come a long way from our humble beginnings in 1997 when we opened our virtual doors. Now we are celebrating 20 years of innovative student learning! Check out our video, milestones, pinboard, and more at flvs.net/20-years. 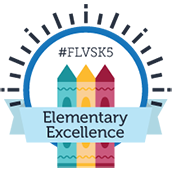 FLVS Flex Elementary serves students in grades Kindergarten through 5th grade. Our teachers can’t wait for another amazing year, but we couldn’t do it without the support of our amazing elementary parents! Butterflies in my belly! I can’t wait for August 14 – the first day of school. I never sleep the night before the first day of school each year. I’m so excited to meet our new children and families, and even though we’ve done welcome calls and seen students and parents at our Open House, nothing replaces ClassTime with our Kindergarten-5 kids. August is just around the corner and that means it’s time to begin planning to go back to school! 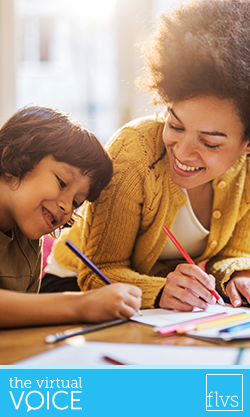 Last month, Governor Rick Scott signed a bill which included language to remove eligibility requirements for certain elementary students wishing to enroll in FLVS. This means that ALL Kindergarten-12th grade students in Florida are now able to enroll in FLVS – including our Flex Elementary classes! FLVS Flex Elementary is an innovative program free to all Florida students in Kindergarten-5th grade, and enrollment is underway. The program follows a semester-based schedule with flexible enrollment options available during the school year, allowing students to complete assignments following a suggested weekly pace with parent guidance.